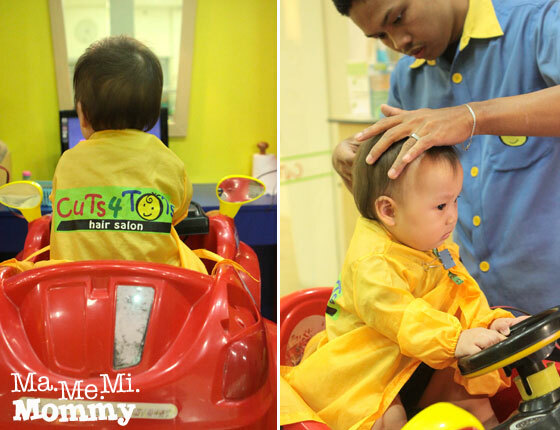 We’re past the one year mark already and it’s about time that DS gets his first haircut. Yipeee! 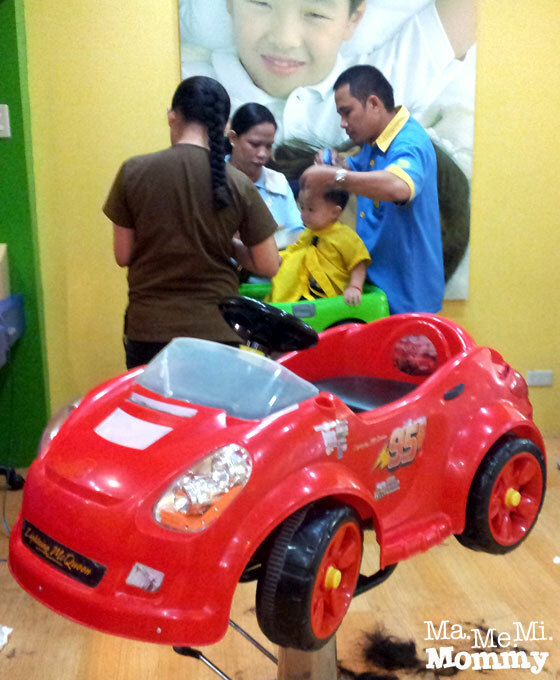 For this, we visited Cuts 4 Tots in VMall, Greenhills. The bright colored interiors were so inviting that the kids immediately went in without a moment’s hesitation. 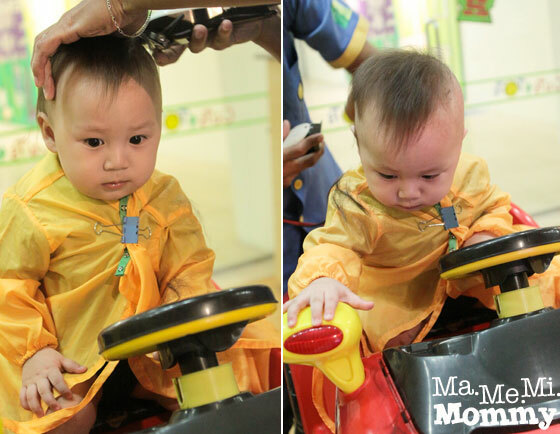 Oooh and they get to drive a car while getting their hair cut! What fun! 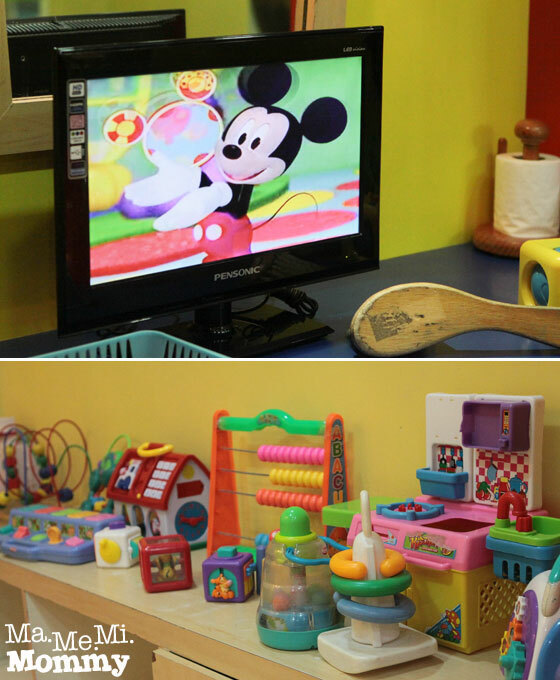 To keep the young guests entertained, there was a shelf full of colourful toys, catering to both babies and older kids. Right across each car (barber’s chair) was a flat screen TV where the child’s favourite show (hint: Mickey Mouse Clubhouse/Hi-5) is being played. How much more fun can getting a haircut get? Here’s a list of their services and their prices. 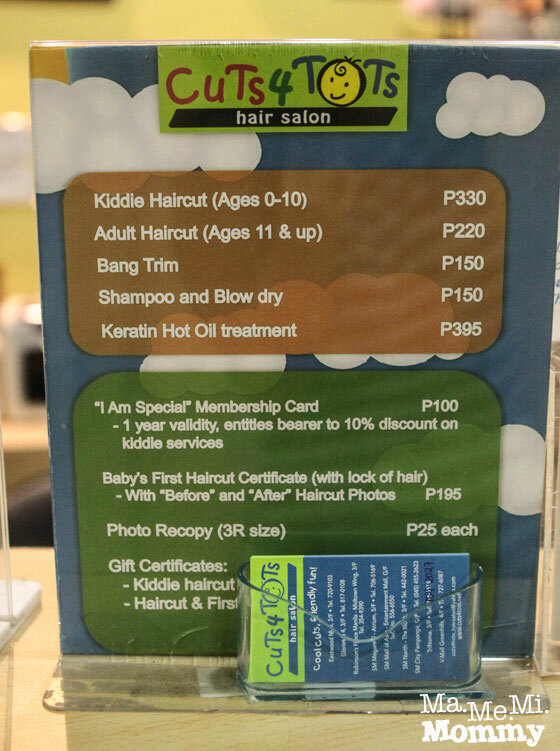 Back when DA had his first haircut, I was able to buy a voucher from Ensogo that bundled the 1st Haircut Certificate and Kiddie Haircut for a much lower price. Not aware of any deals, I just went ahead with the simple haircut. I just took before and after photos and requested a lock of hair to keep. The barber then made him wear the coat for protection. It’s like a jacket complete with sleeves. DS was so cool with the whole thing (unlike someone from 2 years ago LOL!). 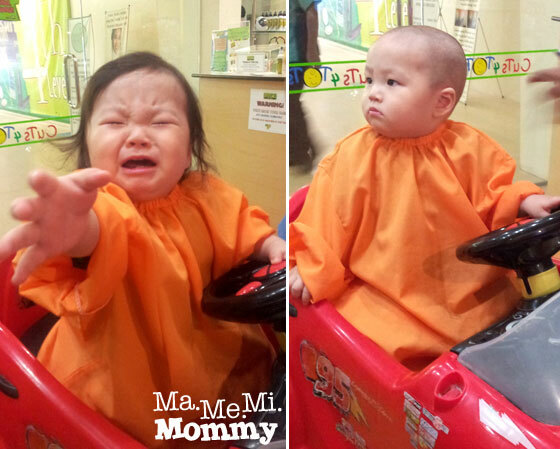 The barber was quick with his hands that even before DS had the time to fuss, we were done! Whew! Ta-da! 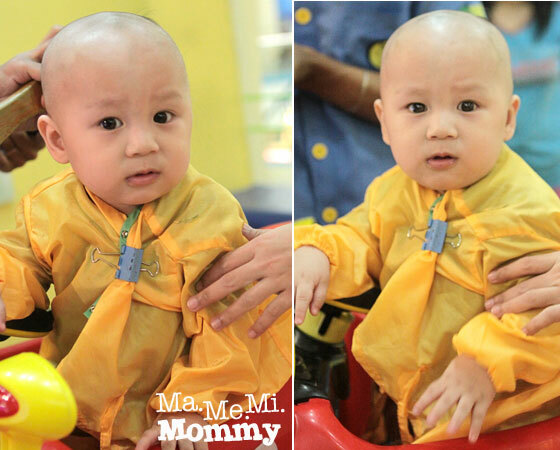 Here’s the Little Shaolin. We’re hoping for a thicker head of hair after his first shave since as per the barber, it would help all the hair grow at the same time, giving the short ones time to catch up. Grow, hair, grow! 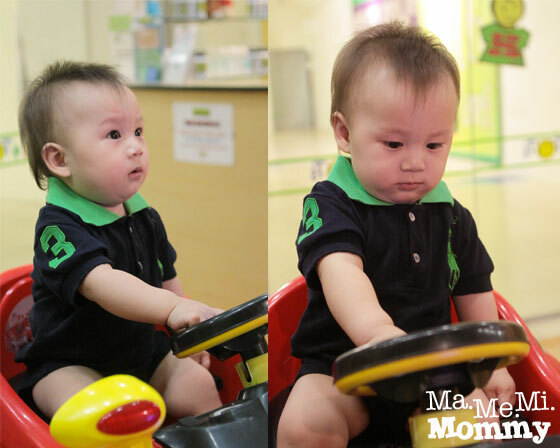 Your baby is so cute and what a discount … The place seems so appropriate for the kids !! !